Save on every purchase with The Ace Card. 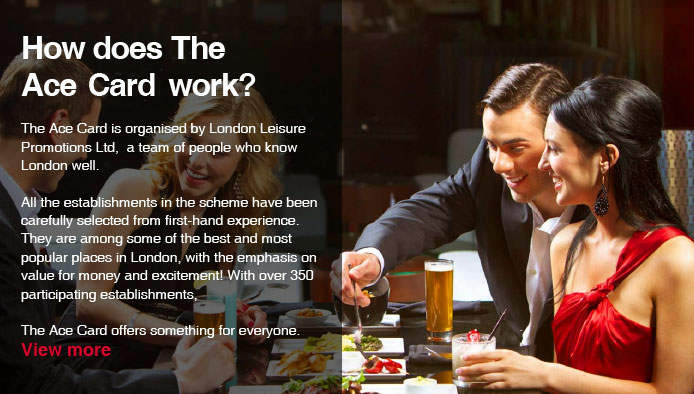 We have over 350 amazing deals on entertainment, fitness and dining establishments throughout London. Copyright © 2019 Welcome to The Ace Card. All rights reserved.